As the conveyancing sector evolves the need for efficient and reliable technology grows with it. More and more legal professionals are putting in the hours away from the office and that can mean spending a considerable amount of time on your phone or tablet. Pali knows how important your time can be, which is why we’ve developed our fully functional iOS and Android app. 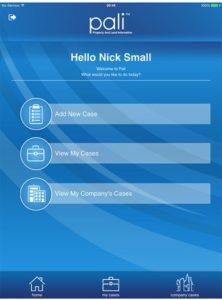 This free download is the perfect tool for getting your searches on the go without the need for a desktop computer. The application combines the ease and familiarity of mobile/tablet apps with the easy existing online order process to give the user a seamless and simple experience allowing you to assess search requirements, pricing and ordering your searches from anywhere, giving you the cutting edge Pali system at your fingertips at all times. Easy to use and designed specifically to give our clients immediate access to their entire search order history allowing you to order, view and download searches at any time; all without the need to upload plans. The importance of moving with the times has been recently highlighted by the Competition and Markets Authority (CMA) report, which details the outcome of a market study made into the provision of legal services in England and Wales. The study found the conveyancing sector as a whole is in acute need of a technological boost. This need for efficient and innovative technology was also raised in the recent Conservative manifesto where the pledge to use digital technology to release “massive value” from land that is currently unrealised was stated alongside the introduction of greater specialisation in the property development industry and need for greater transparency for buyers. 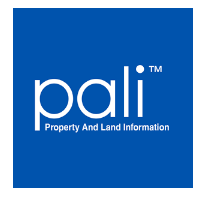 The App is available to all Pali clients completely free of charge and provides a virtual extension of your office. No need to worry about remembering different logins, the App uses the same username and password as the Pali website. Don’t currently have log ins? Simply email search@paliltd.com to be set up. 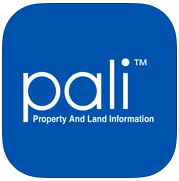 Pali Ltd app, developed by Maxweb, is available now for free download in Apple and Android app stores. This entry was posted in blog, Conveyancing and tagged Android, App, Application, Conveyancing, Development, Innovative Technology, iOS, Residential, Revolutionary, Technology, Travel, UK. Bookmark the permalink.